The day is Saturday 12th September…destiny awaits Baston Cricket Club, in the glorious form of a 950 mile round-trip to the arse-end of nowhere. Thanks to the big victory over title-rivals Timberland in the previous game, Baston required just 9 points to secure promotion and 14 to be crowned champions. A top-secret online Secret Squirrel mission to discover the oppositions starting XI had proved successful. And there was good news, no ringers appearing in the Claypole line-up. But alas – it was a trap! The boys arrived in Claypole only to be met by the unmistakable aura of a massive Big Time Charlie. No matter though, with the wicket looking wetter than an otter’s pocket, the toss was always going to be crucial. Win toss, bowl first, bat on drier wicket. Sadly, that plan relied on the skipper winning the toss. Baston would bat first. Baston’s top 6 appeared to be stronger than ever on paper. Unfortunately, getting them into some form of batting order was proving troublesome. With Liam’s batting deemed unsuited to opening on a wet wicket, Ben unwilling and Anthony “injured” (SHOCK), it was left to relative newbug Lewis to open with VSM. BTC Endley’s attempts to intimidate VSM with his less than subtle sledging were proving somewhat futile as Baston negotiated 10 overs without alarm. Clearly far too good to need a proper run-up, Endley came on to bowl, lolloping in off 5 paces, doubtless anticipating minnows Baston to crumble to his might. When that failed, reverting to off-spin was the new plan, which (you guessed it) failed. Meanwhile, after a solid 50 opening stand, Lewis fell to Wharmby #1 before in-form Lamin surprisingly fell to the same bowler, snicking off and instantly walking (good egg). Another decent partnership developed between VSM and Ben, the former passing 50 for the first time since his maiden ton at Spalding. VSM fell to the returning Endley for an impressive 63 before Ben also departed for 18, leaving Baston on 111-4. Controversy then arose, with Liam in the thick of it (SHOCK). A verbal spat appeared to be taking place in the middle, when a couple of the Claypole players took objection to him smashing some quick runs and then escaping a caught and bowled chance. Some of the disgusting language directed at the Baston man can only be described as having no place whatsoever on a cricket field. In a remarkable out-of-character act though, Liam kept his cool, choosing instead to launch the next delivery into orbit…only to be bowled attempting to do so. Despite more parting words, composure was once again kept. 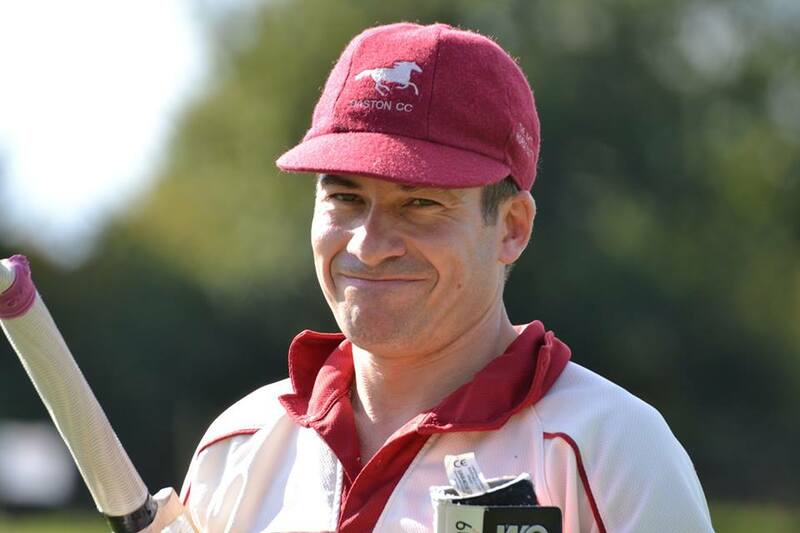 Some decent running late in the innings from apparently-injured Anthony kept the score ticking – Big Dave smashing a final lusty blow to the fence to complete the Baston innings at 154-9. The highlight of the tea interval saw VSM finally find a chair the right size for him…the food being served in a Year 1 classroom. To describe the start overs of Claypole’s chase as “absolutely mental” would be an understatement. Liam’s first ball sailed over the train tracks for six off the bat of Ragless, soon to be followed by another two maximums. Baston were onto their 4th different match ball in barely the 6th over. At the other end, Endley was equally as brutal on Adam, clubbing the ball into nearby Tennis courts with ease and arrogance in equal measure. Urgently needing a change, Lamin replaced the skipper only to be smashed for consecutive sixes first up. Fresh from a great Arts & Books victory on Eggheads the day before though, Lamin had his revenge, Ben taking his 16th catch of the season as Endley tried one too many stupid shots. The arrival of Don Long yielded a second wicket, Ragless picking out Adam on the boundary, who took a remarkable catch, given the humongous bag on he was carrying at the time. Two balls later, the trick was repeated, Sullivan caught Hilless bowled Don Long. Incredibly, the home side were still intent on slogging their way to victory, King the next to perish, top-edging a massive moo to Anthony, who - even more incredibly - caught it. After 11 crazy overs, the score was 78-4. Finally twigging that slogging might not be the way to go on a spongy deck, the run-rate began to tumble thanks to some tight bowling from the experienced Don and Lamin. Don began to pick up wickets at regular intervals, the skipper completing a hat-trick of catches and VSM holding a good one in his specialist short-gully position. The hosts were in trouble on 98-7. Skipper John North was going very nicely though, combining watchful defence with occasional aggression, well supported by Wharmby #2 who (unlike many of his team-mates) looked like sticking around for a bit. He was finally undone by piece of sheer brilliance from Don Long, bowled by a back-of-the-hand slower ball that moved considerably, handing Don a superb 5-fer in his first game in three months. An impressive 24 overs of slow bowling from Don (5-37) and Lamin (3-42) had left Baston with a great chance, needing two more wickets, the hosts requiring another 30 runs. North was marshalling the chase expertly though, edging closer with plenty of overs to spare. Liam and Adam returned, the former castling Clarke, leaving the boys on the brink. North completed an excellent 50 to move within just 5 runs of victory. However, realising that short slow guff wasn’t going to do it, Liam bowled an excellent yorker to bowl North and win the league for Baston by 4 runs. Back in the changing rooms, the boys did what all gallant winners would do…ring their rivals Timberland and scream abuse down the phone. Umpire Pete even got in on the act, playing the role of cameraman with resident paparazzi Biggsy absent. In summary, a brilliant game to cap a brilliant season. It really was a complete performance from the lads, who were excellent in the field. Special mentions to Lewis for maintaining an intensity in the field rarely seen in cricket, as well as Oiks Bashwell and Hawk who both fielded brilliantly under immense pressure. News of the victory had clearly clouded Treasurer TommaHawk’s judgement, as he authorised no less than 4 jugs from the tin. 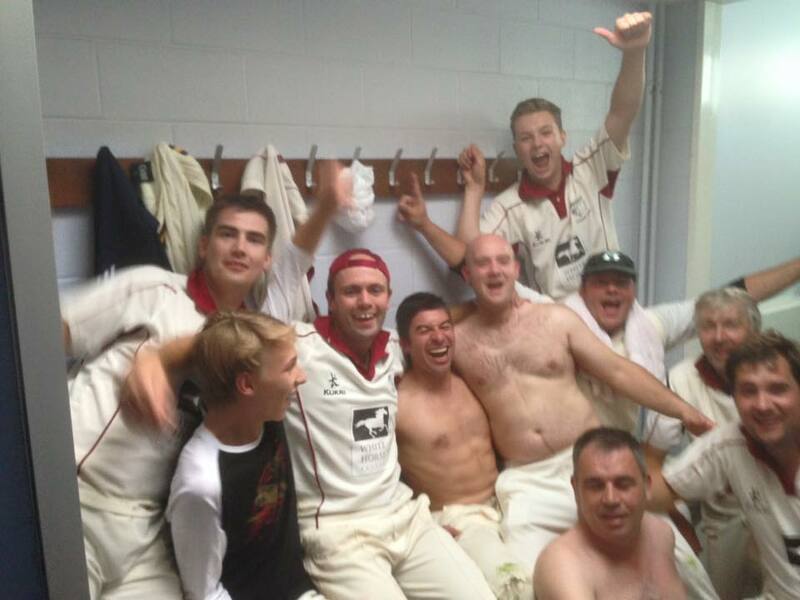 Jug City ensued in the pub as the boys celebrated their league win long into the night.